A gimmick too far? A ring in every candle! These rich looking parfait candles have three layers that each includes a creamy base, crust and fruit topping. 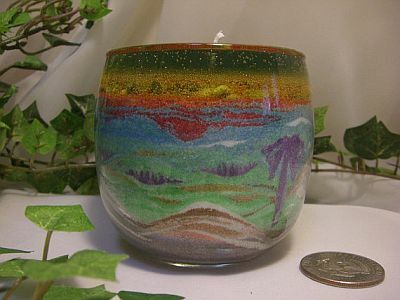 Olga created these unique candles that combine sand art and gel. The effect is quite lovely and I love the idea! 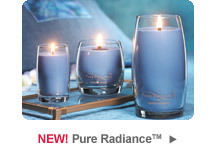 Yankee Candle recently announced their new soy wax candle line called Pure Radiance. Colonial Candle is starting the new year with five new luxury fragrances. You can only find them in showrooms right now, but they’ll be widely available by April 2012. 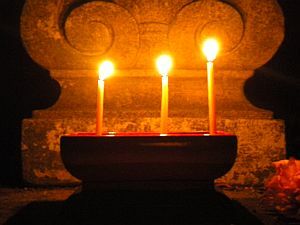 Timed meditation candles are a great way to ensure that you’ll stay focused on a candle to relax, rather than worrying about the time. You can’t go wrong with candle favors and at Sweet Experiences, they specialize in them. As a bonus, they’ll also deliver them and set them up! 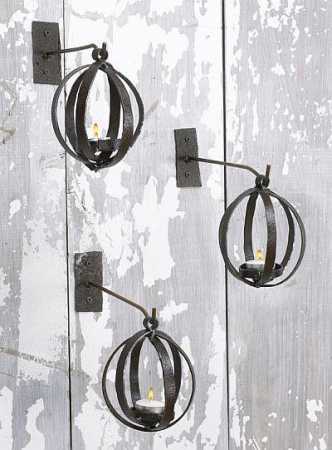 I found these charming and rustic holiday lanterns at The Steel Fork. They’re handmade with recycled machinery steel, so no two are exactly alike. 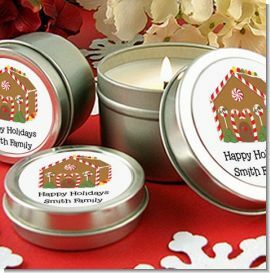 These personalized Christmas candle favors would be perfect for quick gifts, stocking stuffers, parties or even baby showers during the holiday season.